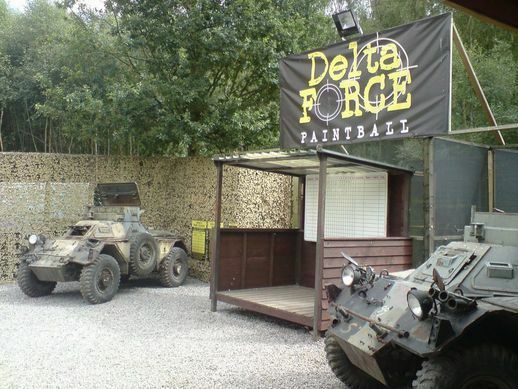 Delta Force Paintball scoops two more TripAdvisor awards! Today was a good day for Delta Force Paintball with the arrival of two shiny TripAdvisor certificates — one for our Effingham Paintball Centre and the other for Reading Paintball. In the words of TripAdvisor, we have been “Recognised by customers as being one of the very best in the business”. Well we certainly won’t argue with that statement. Now in its fifth year, the Certificate of Excellence award highlights establishments that consistently earn positive TripAdvisor reviews from customers. Earning these awards wouldn’t be possible without the time taken by our valued customers to share their positive experiences with the world. Not to mention the many Delta Force Paintball employees who worked tirelessly to provide such amazing service to their customers. Reading and Effingham now join the other Delta Force Paintball Centres that have previously earned the five-star symbol of excellence — with Wakefield, Westerham, Southampton, Gerrards Cross, Banbury and North Bristol also proudly holding the prestigious award. What a fantastic achievement for all those involved, we could not be prouder. Since we’re naming names, it’s also worth mentioning that as of 14th of July 2015, the Wakefield Paintball Centre has received over 150 Trip Advisor reviews — 130 of which are rated as ‘Excellent’. Amazing work guys. If you are yet to play at Delta Force Paintball then we hope this news further encourages you to book an unforgettable day of paintball with us. To all our existing customers, we just wanted to thank you again for your continued support and we look forward to seeing you again very soon. To secure your perfect paintball date simply give one of our friendly event coordinators a call 24/7 on 0203 869 9301 Alternatively you can visit our booking page to request a call back.